Thomas Hughes' novel of life in a boys' boarding school in the 1800's comes boldly to life on the screen. At the age of eleven Tom Brown is sent off to Rugby where, as his father tells him, he likely will "see a great many blackguard things." He does indeed. 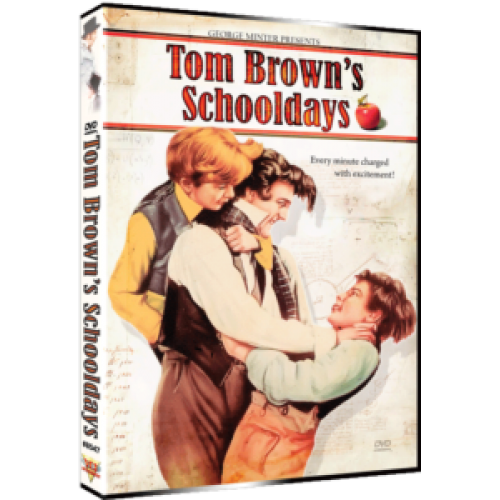 Young Tom receives a good deal of hazing from his classmates, but he takes it all in stride until he runs afoul of the school bully, the sadistic Flashman. A more despicable villain doesn't exist in English literature—or in English movies, for that matter. Tom learns the hard way that rebelling against Flashman carries a painful penalty. Robert Newton gives a moving performance as the school's reform-minded headmaster. Some of the filming took place on location at Rugby, giving the picture its strong flavor of authenticity.